Our extensive knowledge of all types of blinds in the market means that the best place to select and buy genuine branded blinds is here. We supply all types of Venetian blinds, vertical blinds and roller blinds. You can add extra features such as remote control, motorised blinds or shaped. Fabric selection include black-out or room shading, anti-glare and fire retardant. 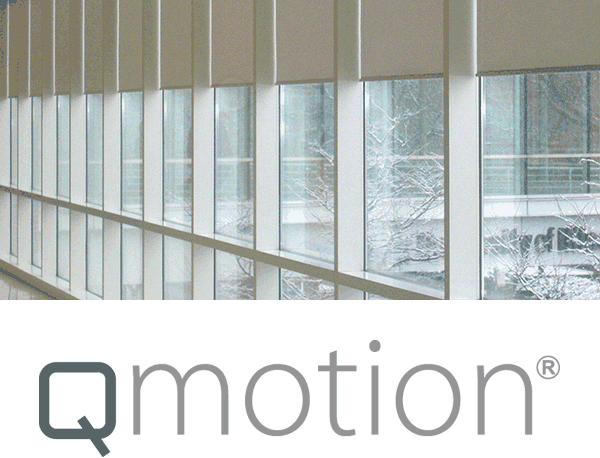 As an authorised QMotion dealer we are proud to make their products available to our clients. 100% Wireless Qmotion is battery powered and can be remote controlled, so there are no wires to install or complicated building works.